Are Selfie Takers Less Intelligent Than Everyone Else? What science says about our selfie culture. I came across an interesting study that looks at “Selfie” taking culture and its relationship to creativity and intelligence. The Study is called: “Selfies and the (Creative) Self: A Diary Study” and is by Karwowski and Brezki . It is open access and you can read/download it here for free. This study is interesting because it looks at a subject that I think many of us have pondered whilst perusing our social media feeds. Depending on who you ask you will likely be told that selfie taking is a worthless, uncreative and narcissistic form of photography to those who think it is just as valid as any other type of photography. In addition this study is also useful illustration of the common limitations of psychological and sociological research. Scroll down to the “Conclusions/TLDR” section at the bottom for a summary. This sample took 293 Polish adults (174 women, 119 men, mean age 32.77) recruited from a larger cross sectional study which measured intelligence and creative achievement. Daily Creative Activity (15 different activities, intensity 1 = not at all, 7 = very intensively). The data was gathered over a course of 14 days and combined with the previous study data which looked at IQ and Creative achievement. The data was controlled for age and gender differences as well as variation between weekday and weekend activity. 1) Selfie Posting is “not very common” (see discussion below) across the population studied — only 13% in the 2 weeks studied. 2) There was considerable variability amongst even those individuals that did take selfies from day to day. 3) The overall relationship between creativity and selfie taking was slightly complex. Doing everyday creative activities seemed to correlate with increased selfie taking. Previous creative achievement like winning awards increased selfie taking up to a certain IQ level (one standard deviation above average) after which it seemed to stop. Scientific creativity had a negative relationship with selfie taking across the board. 4) The overall relationship between IQ and selfie taking was a largely negative one. 5) No significant age or gender differences were noted. Is the Selfie Rate Here Low? First of all it is interesting that the authors describe the rate of taking selfies as low at 13%. The rate here is more than 3 times that. So either there is something different about this population compared to that previous research or something else is going on to account for the higher rate. Perhaps Facebook users post a higher rate of selfies compared to other social media sites? Could it be a unique cultural situation — is selfie posting bigger in Poland? Whilst not as bad as some studies this should be taken into account nevertheless. 292 is a relatively small sample and it was 60% female. The combination of small sample and small gender imbalances might skew the results greater than either situation alone. This highlights an important issue. How is a selfie defined and did the study differentiate at all between the single and multiple person variety? I could not find evidence of this (although it is always possible I missed it). This would seem to be an important consideration because it could vastly alter the results. Is it possible that the past research indicating lower selfie rates that I mentioned earlier was using a different definition? Without more information on this it makes comparing results problematic. The results suggest that in those who have previously attained high creative achievement there is a slight increase in the amount of selfie taking. There is a much higher increase for those who take part in daily creative activities except for scientific creative activities where there is no such increase. Further the overall relationship with IQ seems to be a negative one. The association with creativity would make sense but why is there no association with scientific creativity? It is hard to say for sure, but perhaps this is for cultural reasons. Perhaps those taking part in scientific pursuits have a different opinion of what is creative? Could it also be that this is responsible for the IQ findings? Is it more likely that those at the upper ends of the IQ scale are likely to be more highly educated and hence more conservative in what they consider to be “creative” activity? From my own anecdotal experience the general attitude towards “selfie-taking” is that it is a vane and narcissistic activity that lacks artistic merit. If this attitude is more prevalent amongst those of higher educational levels it might well influence the willingness of these people to take them or equally importantly to ADMIT to doing it. The use of self reporting which I discuss below may exaggerate such effects. The only way to find out would be to try to also assess the attitudes of participants in regards to taking selfies. This is a self reporting study. Although self reporting is commonly used in some types of research there is almost always a question as to how accurate it is. For example people may deliberately misreport their activity because they feel ashamed of it. They may also misremember things, particularly if they don’t fill in their diaries right after an activity. If you have ever filled in a food diary you may have run into both these problems. These issues may be further skewed by cultural factors and personality traits such as narcissism and introversion which are pertinent to the behaviour we are studying! So without some sort of “gold standard” method like actually recording direct Facebook activity of individuals (either via software or having another person check) we don’t know how accurate this self reporting is. It might be very accurate or it may be very misleading, we just don’t know for sure without testing. The participants were paid for taking part. This may select out certain types of individuals which may skew the results. For example people who care more about money or are in greater financial difficulty may be more likely to respond. We can’t really know the effect of this (if at all) without further research. Every time you sample a population you are prone to introducing selection bias. When you take the population from another study there is the potential that you will create a compounding effect on biases compared to sampling from scratch using the general population. One can understand why this was done for reasons of practicality but this factor should be kept in mind. Is Such A Short Duration Representative? The study took part over two weeks and one must consider how representative a small snapshot of behaviour like this is. 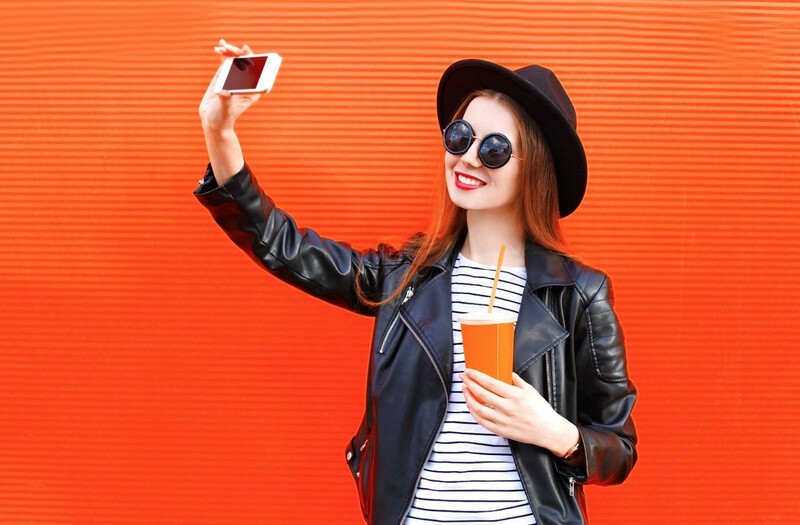 It is entirely possible that people’s selfie taking activity is affected by a number of factors that relate to things like free time, interpersonal events and occupational workload. The authors did take account of and try to control for variation of activity between weekends and weekdays but it does not really address these particular temporal issues. These days a lot of people are using social media as a means of advertising their work. For example if you are a personal trainer, beautician or a model it stands to reason that you might take more selfies as a means of promoting yourself. Unless I somehow missed it I did not see the authors taking account of this. It doesn’t necessarily negate the authors findings but I find it to be a curious omission in a study of this sort. From a rational perspective this would seem to be one of the biggest motivations for people taking selfies and so a reason for differences of rates between individuals. Consider for a moment some seminal achievements in the history of art: the portrait of a man in red chalk, attributed to Leonardo da Vinci; a collection of Pablo Picasso’s self-portraits showing evolution of his artistic style; or a dozen of Vincent van Gogh’s self-portraits, with their famous mirror-like character. Now, let us switch to XXI century with its new technologies, smartphones, Facebook posts, and Twitter tweets. And here’s the point: would Leonardo, Picasso, or van Gogh be selfying instead of self-portraying today? Do selfies hold any creative value or should they be perceived exclusively as a proof of narcissism and vanity (Sorokowski et al., 2016)? These provocative questions inspire our endeavors presented in this article. Perhaps I am being overly sensitive but the manner in which comparisons are made with seminal pieces of art from history strongly suggests that to me. It stands to reason that if you have very dim view of selfies you might be more inclined to find the kind of results that we have here. Have a look for yourself if you are interested. This is an interesting study for a number of reasons. Despite the author’s claim of a low rate of selfie taking the rate is actually three times higher than previous research. Further it does not find significant associations between gender or age and selfie taking which is somewhat surprising and not entirely consistent with previous evidence. The more robust findings are an increased rate of selfies in those who engage in greater (non scientific) everyday creative activities. This would appear to make some sense both rationally and in the light of previous research. Much more controversially there seems to be a negative correlation between IQ and selfie taking. One might therefore conclude that those who are both creative and of lower intelligence are more likely to post selfies. Whilst that may seem like an attractive idea to those who are critical of the practice I think it is overly simplistic, not to mention rather inconsistent with current thinking regarding creativity and intelligence. For one thing creativity is a part of general intelligence and so it does not make complete sense that two inter-related domains of this sort would have different associations, one being positive and the other negative. There are multiple limitations inherent in this sort of study the largest of which I think are the use of self reporting and lack of consideration for cultural factors and/education. There may also be some author bias here. Further there is no consideration of the marketing value of such behaviour. Without further research to clarify and control for such issues I think this study doesn’t really tell us very much. The findings may make for interesting headlines but unless they can be confirmed it is hard to assess their true validity. Karwowski, Maciej, and Arkadiusz Brzeski. 2017. “Selfies and the (Creative) Self: A Diary Study.” Frontiers in Psychology 8 (February): 172. All uncredited images are taken from my personal Thinkstock and IStock Photography accounts. More information can be provided on request.